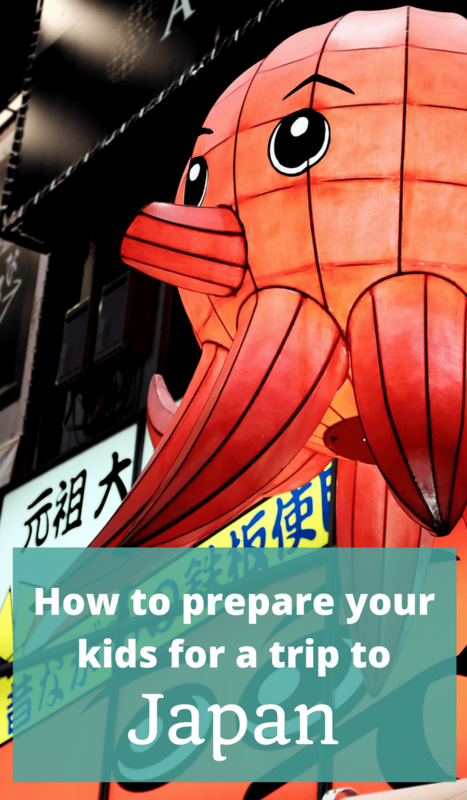 If you’re planning a Japan family holiday, you probably want to prepare your kids for Japan ahead of time. It’s an utterly wonderful country to visit but probably pretty different in quite a few ways from home. Learning about Japan and Japanese culture before you get there will make the trip both way more fun and much more rewarding both for your kids and you! I lived in Japan for a couple of years in my twenties, and became a little obsessed with it. Right now, I’m planning a two-week trip to Osaka and the Kansai area with my seven-year-old son – and it’s his first time in Japan. He is ridiculously excited (as am I, to be honest!) both because I’ve always raved about Japan and, probably, because I’ve been pretty deliberate about teaching him lots of cool stuff about Japan so he’s excited to go! In our household, learning more about Japanese culture has been a lifetime experience for my son, but there are plenty of great resources out there if you’re starting now. One of my very favourite kids’ cartoons for learning about countries is general is Mouk, and their YouTube channel actually has a perfect video of Mouk and his friends in Japan – well worth a watch (and if you and your kids haven’t seen Mouk yet, look up the rest!). We’ve also been getting more and more books about Japan out of the library recently, but easily our favourite has been “All About Japan: Stories, Songs, Crafts and More” which is such fun to read (and do) together. Of course, I’ve also been teaching my son about typical Japanese foods forever but if you haven’t, then planning some trips to some nearby Japanese restaurants will help them find some foods they love. Japanese foods are sometimes unfamiliar to kids but because they are mild in taste (as in, they are rarely spicy) once they’ve tried them there are usually heaps of kid-friendly options in a Japanese restaurant. Japan – like many places – is a country where knowing a little bit of the local language goes a long way. A very long way! Many locals have some English ability but are shy about speaking English for fear of making mistakes. If you start off with some Japanese – even if it’s just a few words – they’re likely going to be much more comfortable speaking some English. Most of the resources for teaching kids Japanese start off with everyday life and teaching them to read and write hiragana and so on … and there is heaps of cute stuff out there! – but for the purposes of our trip, I’ve been showing my son a few other videos probably aimed at adults but with the few phrases I think it’s most important for him to be able to say. This video’s one that has just a few phrases but important ones and in a way you have a chance of remembering them! When my son was about six months old, a new (and excellent) Japanese restaurant opened up in the next suburb to us. He’s been eating there since he could grab food himself, and over the past year or so has been more keen to use chopsticks properly too. I started out with “trainer” chopsticks for him – the kind you can get in a 100-yen shop (and I must admit I got them in Australia – at the Daiso shop (which is a big chain of shops in Japan and they are in some parts of Australia, notably Melbourne where I’ve shopped there, but not yet in Perth!). They are better than the “tong” style trainer chopsticks because they have little rests for fingers in the right spot so you can transition to using proper chopsticks more correctly – and my son is improving with the adult version all the time at the moment. This video is a lovely step-by-step video to give you some chopstick using tips – as well as throwing in some etiquette and language at the same time (and it’s just as good for adults as it is for kids!). Some things are very much “only in Japan” events and though you might see the odd bit of sumo wrestling outside Japan, I am positive that “real” sumo is only to be found in Japan! There are six tournaments a year held at various cities on a regular basis – our trip happily coincides with the Osaka tournament and we have our tickets already! However, sumo is a kind of an odd sport, really, and a whole day at the sumo may be too much for most kids (it can be a twelve-hour day – even longer than Australian cricket!). Since kids aren’t too concerned about separating the very best sumo wrestlers from the pretty good sumo wrestlers (and to be honest, neither am I), then I recommend getting cheap seats and going earlier in the day – you can sneak down closer to the action to the seats where people won’t turn up til later when the competition gets more serious. The timing and tickets are all at the official sumo site. My trip this time round has been very deliberately scheduled to (hopefully) get to see the cherry blossom blooming. Now, this might not instantly seem like a kid-friendly attraction but it is such a fun time of year to be in Japan and I think many kids will be excited to see the trees exploding into colour and all the activity that goes with it. 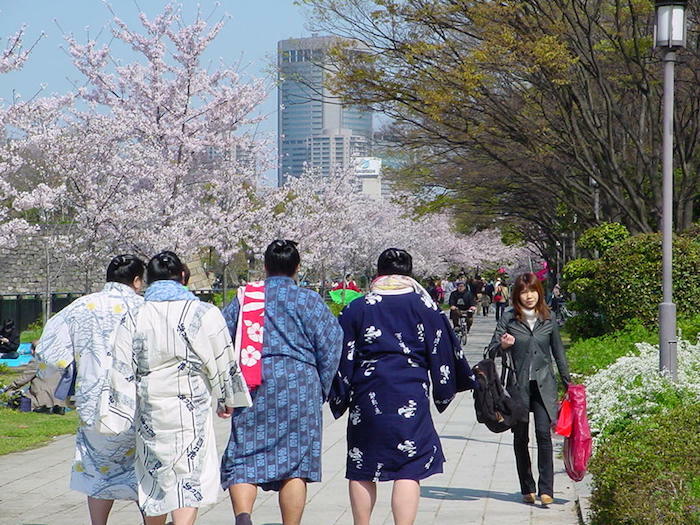 It is a March/April event depending on which part of Japan you’re going to and as your trip gets closer you can watch the sakura forecast to see where you should be when to see the cherry blossoms! shinkansen – every young boy wants to ride on a bullet train, right? My son has known this word since he could speak words of more than a syllable and is super-excited about being able to actually be on a shinkansen soon. 100 yen shops – many countries have a version of this – we typically have two-dollar shops here in Australia – but Japanese 100 yen shops are something special. Such a huge range of products and mostly of really excellent quality for the price – definitely some fun stuff for kids to explore here. futons and tatami mats – my son thinks it’s fascinating that when I lived in Japan, I slept on the floor on a futon, on top of tatami mats. It’s worth making sure some of your accommodation is this more traditional Japanese style (look for a ryokan – a traditional Japanese inn) so that they can experience this too! vending machines – in Japan, vending machines are renowned for having every conceivable product (and more!) in them. I particularly like that there are lots serving hot drinks too. But going vending machine hunting to find some of the more unusual items is a lot of fun. toilets – let me tell you, there are some extremely hi-tech toilets in Japan and my son is excited about pushing all the buttons! (I’m a little scared, actually!). As well as all the extra washing functions you can probably imagine there are often buttons in public toilets to play some music so nobody else can hear what you’re up to! And then just knowing what life is like for kids in Japan is something my son’s found fascinating too – something as simple as what a kid’s bedroom looks like in Japan is interesting because it’s different to here – the video below is an example of that and if you click through to YouTube and look at the rest of the Life Where I’m From channel there is so much more of interest too! Questions about Japan for kids? I’m sure one of my big goals in life into encourage everyone to visit Japan at least once! Do you have any questions about taking your kids to Japan and how to prepare them for the trip? Let me know in the comments!